PAS Awards competition is one of the initiatives of Pakistan Advertisers Society (PAS) that celebrates and acknowledges ‘ideas that works’. It recognizes the most effective pieces of marketing and advertising communications and is known as the pre-eminent award programme of the Pakistan marketing, advertising and media industry. PAS is committed to aspiring young professionals and celebrating the success of the Pakistani marketing and advertising industry. Every nomination of PAS Award goes through two stages of evaluation namely effectiveness and Jury Chair. This year Telenor Group has been able to win two PAS awards in the 7th commencement of PAS Awards event. The awards are in the categories of ‘Telecommunication Service Providers‘ and ‘Best in PR‘. 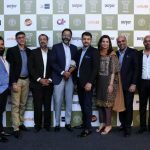 Telenor Pakistan under the campaign titled ‘Sacha Sath’ managed to win the award of Best Telecom Service Provider while the subsidiary brand of Telenor Pakistan ‘Djuice’ has won the Best in PR Award with the campaign titled ‘OyeKucchhKarGuzar’. The campaign partner agencies with Telenor included Adcom Leo Burnett, OMD Pakistan, Stimulus Productions, The Digital Factory, Catwalk, TruBrew Records, Citrus Talent, Google/Youtube Pakistan & Singapore.